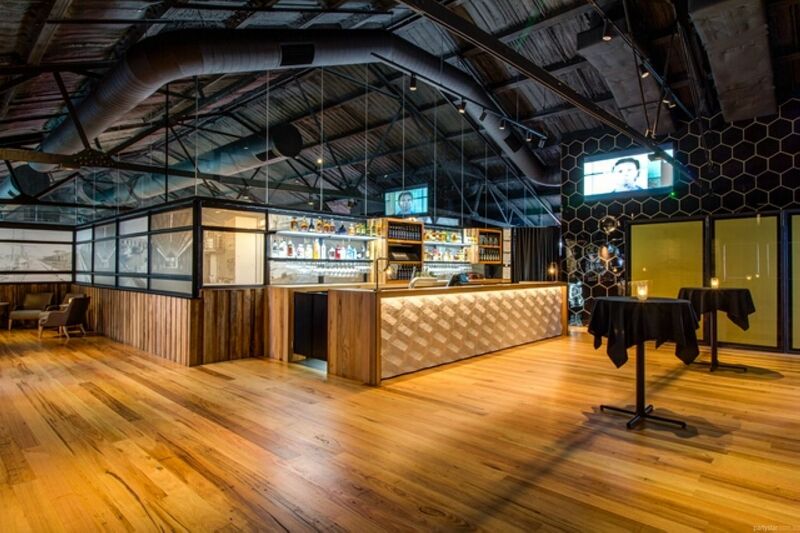 Part of Melbourne's old docking and shipping precinct, Woolshed is a success story of the Docklands redevelopment. 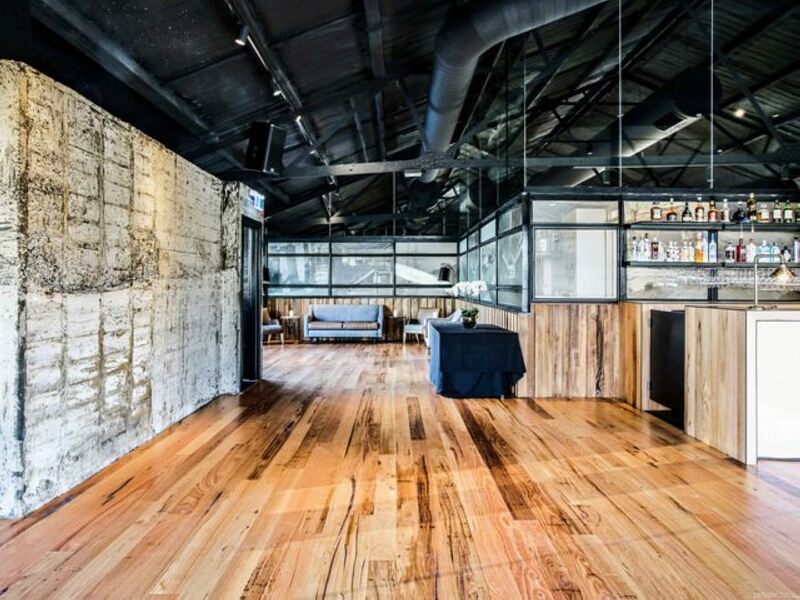 True to its namesake it was once a wool storage facility, and is now a hotspot for entertainment, dining and functions. 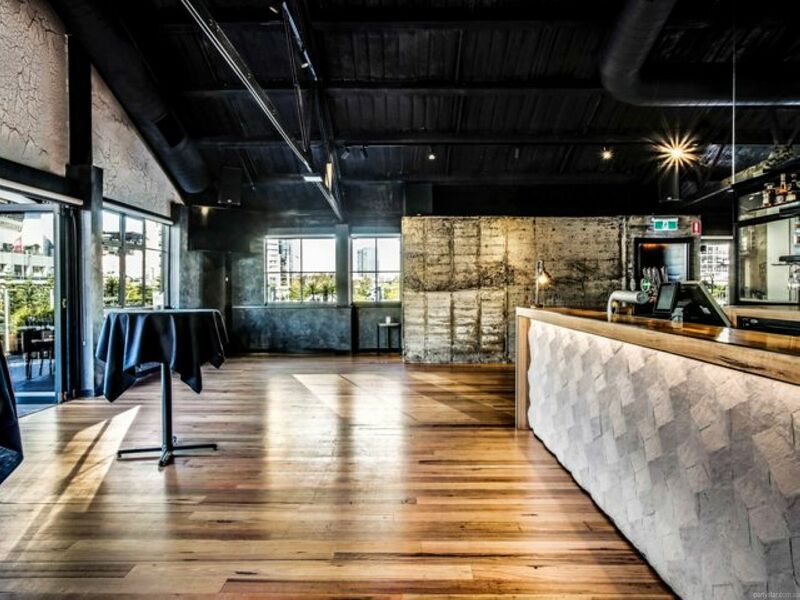 With original exposed beams, distressed wooden floors, concrete feature walls and original lighting, Woolshed's Harbour View Room has a prime upstairs location overlooking a glorious vista. It boasts floor to ceiling bi-fold doors which open onto a massive wrap around balcony on two sides, one looking out across the iconic sports stadium and the city; the other with spectacular views across the sparkling water of Victoria Harbour. Utilise the chill out space to the left of the bar, then wander up and access the balcony which wraps right around to the bar area. 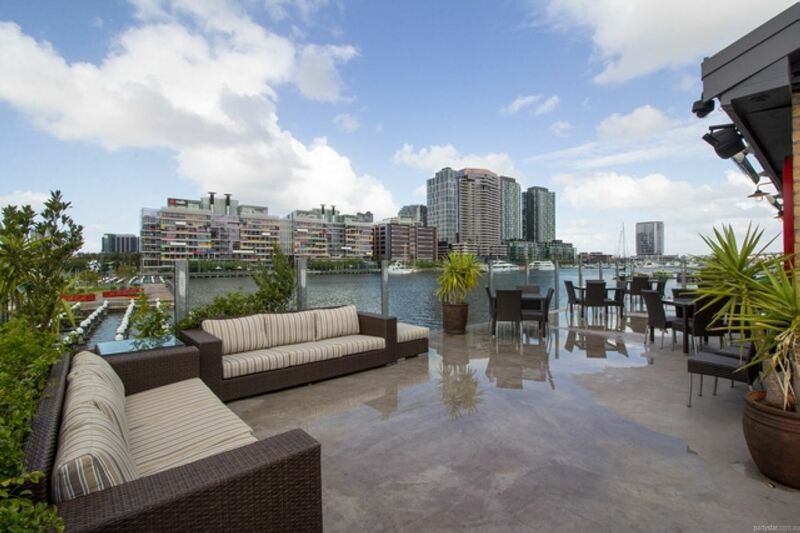 Besides the amazing layout and views, enjoy the fully stocked bar and private toilet facilities. The room also has its very own kitchen, ensuring quality and freshness straight from chef to guests. 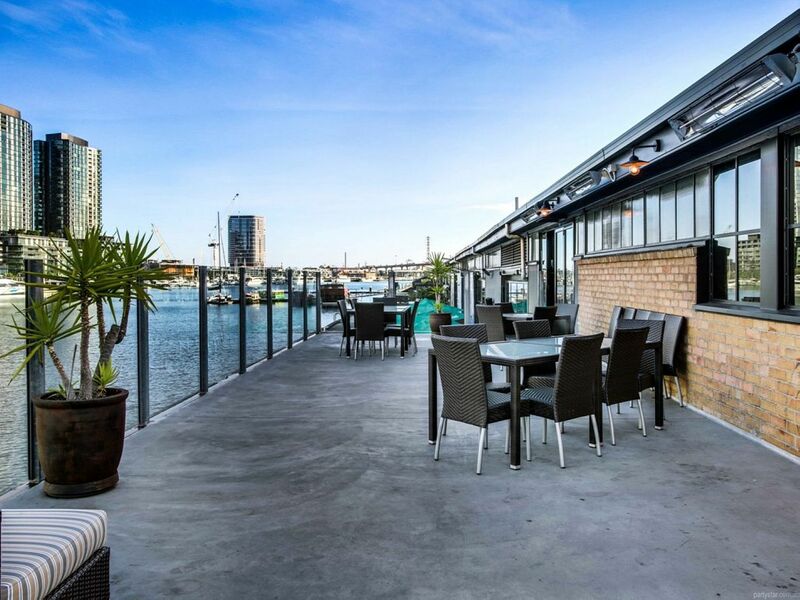 Smoking area: Huge external balcony with exceptional views of Victoria Harbour. Heated in winter. Parking: Central pier, the sports stadium, local carparks and street parking. For the best sound, utilise the venue Nightlife system, for which you can import Spotify playlists. Alternatively Woolshed can set up a jukebox style iPad and guests can select their own songs throughout the night. The minimum food spend is 1 platter of food. The listed spend is based on the cheapest platter available. Underage guests are permitted until 12am, providing the underage guest is in the company of a responsible adult who is responsibly supervising them. One separate responsible adult per each underage guest. November, December and public holidays. Be aware: Weekend functions have a $60 minimum food spend. The Harbour View room has 2 TVs for photos of video presentations. Hire available for all other AV needs. Restrictions: No confetti, no loose sparkles, no pins, sticky tape or items that mark the walls.